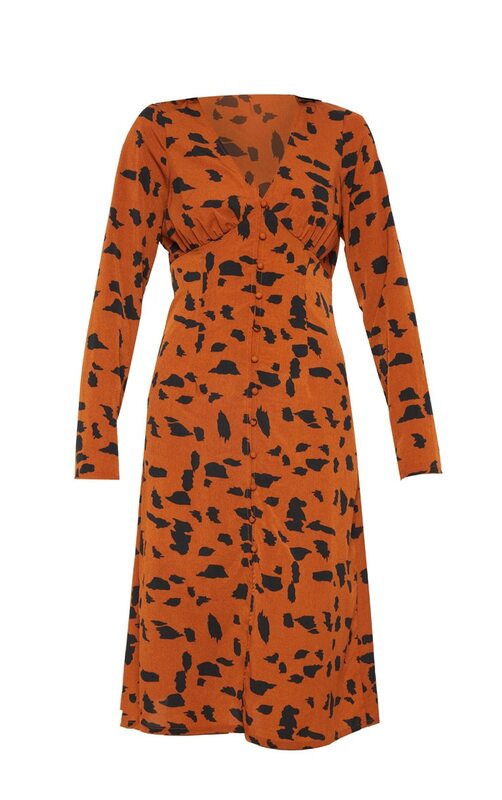 This midi dress is perfect for any upcoming city breaks. 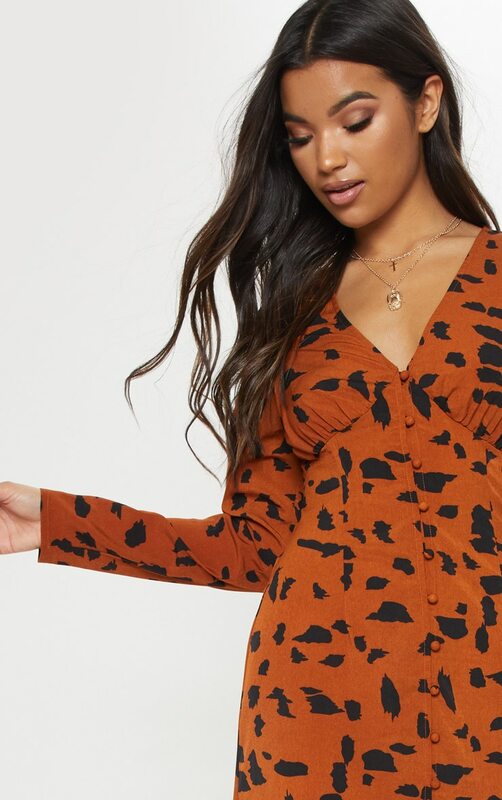 Featuring a rust animal print material with a button up front and long sleeves, we are obsessed. Team it with some western style boots to finish off the look.